Last week, Sir Tim Berners-Lee revealed his new vision, one where the internet becomes decentralised again as he originally had envisioned it. His technology is called Solid POD and will allow every internet user to store their own data, be it video; articles; wearable tracking data or comments, and share that with anyone or any website that has connected to the Solid ecosystem. Using the Solid POD, the user will remain in full control over their own data and who has access to it and who not. A great new initiative that will hopefully bring us closer to a decentralised society where data is owned by those who created it, privacy is protected, security is a given, and distributed ledger technology will enable trustless transactions among individuals, organisations and things. 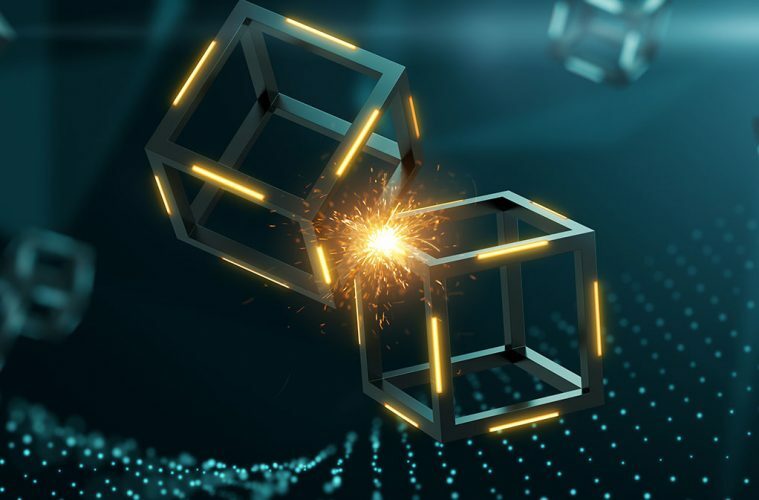 However, distributed ledger technology, which includes blockchains, is still a very nascent technology and the complete ecosystem is still under development. To achieve a decentralised society, many more components need to be built, requiring global standards and large investments. My estimate is that it will take another 3-5 years before the ecosystem is ready for full-scale, enterprise adoption. Fortunately, many startups are working on various components of this decentralised ecosystem. Infrastructure layer: those applications that aim to create an infrastructure layer on which others can develop applications. Public blockchains include Ethereum, NEO and Nxt, while private blockchains include Ripple, Hyperledger, MultiChain and Chain. Miners: Focused on validating transactions, for example for the Bitcoin Blockchain. Examples include BitFury and Bitmain. Distributed computing: using distributed ledger technology to distribute your computing requirements. Basically, cloud computing but then decentralised. Examples include Golem and Sonem. Distributed storage: distributed data storage is especially important when you want to be sure that data can always be accessed, regardless of restrictions some countries have. Examples include Storj, IFPD and FileCoin. Privacy & Identity: Services that are focused on developing a self-sovereign identity and ensuring that data of internet users is kept private and personal. Examples include Sovrin, uPort, Civic and Blockstack. Money transactions: As discussed in Chapter 4, there are four different types of tokens: currency, security, utility or asset tokens. Currency tokens, cryptocurrencies, are used to make financial transactions, and the most well-known is of course Bitcoin. Others include ZCash, Bitcoin Cash or Monero. Wallets: Of course, all those cryptocurrencies need to be kept somewhere. Wallets are the bank accounts of the crypto world. You can have hot wallets (connected to the internet) or cold wallets (disconnected from the internet). Examples include MyEtherWallet, Jaxx, Exodus or Trezor. Exchanges: Like with stocks in companies, cryptocurrencies need to be exchanged, so there is a range of centralised and decentralised exchanges. Centralised exchanges have the risk of being hacked, which is not possible with a decentralised exchange. Examples of centralised exchanges include Bitfinex, Bitstamp, Coinbase or Kraken. Examples of decentralised exchanges include 0x, bisq, bitshares or EtherDelta. Healthcare – hashed health, MedRec, Gem or Nebula Genomics. Legal – Integra Ledger, Aragon or Otonomos. Media – Steem.it, Akasha, Synereo or Backfeed. Internet of Things – IOTA, Chain of Things, Atonomi or IoT Chain. Real Estate – Ubiquity, Meridio, ManageGo or Atlant. Banks – Change, Bitwala, Bancor or Moni. Insurance – Etherisc, Immediate, Fidential or B3i. Supply Chain – Everledger, Blockverify, Omnichain or Provenance. Logistics – ShipChain, CargoX, FreshTruf or OriginTrail. Of course, the above list is by far not a definite list and the list will continue to change the more decentralised technology is being developed. However, although blockchain can be beneficial to all industries, it does not mean that every problem requires a decentralised solution. A decentralised solution is only required when there is a trust issue (which generally happens when individuals, organisations or things want to collaborate across organisational borders or between individuals) and when a transaction is taking place. In other occasions, DLT is not the required technology and you are better of using cloud computing technology. Are you working on a technology for the decentralised ecosystem that is missing here, is there a layer missing or do you believe that the DLT ecosystem will be completed faster than 3-5 years? Join the discussion below and let me know your thoughts. Thanks.